I am running Mojave (10.14.2). Since the introduction of the floating screenshot thumbnail, I have been unable to drag these thumbnails to most applications, with few exceptions such as Telegram and Notes. I'm not sure how something as prominent as this draggable thumbnail is incompatible with the rest of macOS's drag and drop systems, so I feel like I'm missing something. 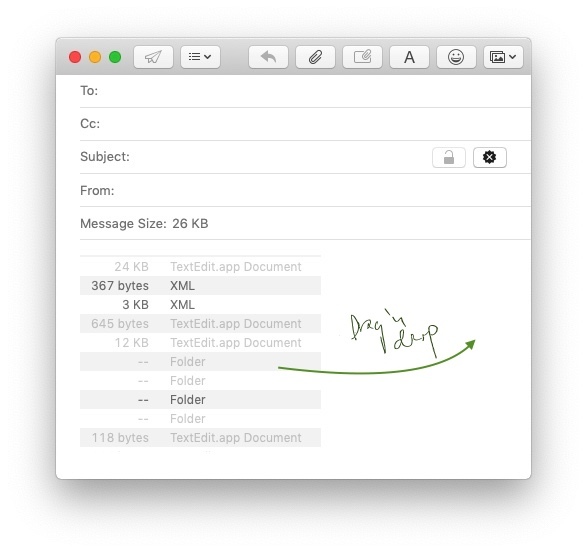 An example of an app that won't support this (but supports normal file drag&drop from Finder) is Slack. In fact, I really struggle with this one as one of my main use-cases is taking screenshots and sending them via Slack. I currently right-click on the thumbnail, copy it to the clipboard, then paste into Slack. Is there a way to get full drag&drop functionality on macOS's screenshot thumbnails? You'll see a mail compose window. Drag the picture to the application you originally wanted to drop to (e.g. Slack) . Not the answer you're looking for? Browse other questions tagged mojave screen-capture .